If you care about your vehicle, you should keep it clean. 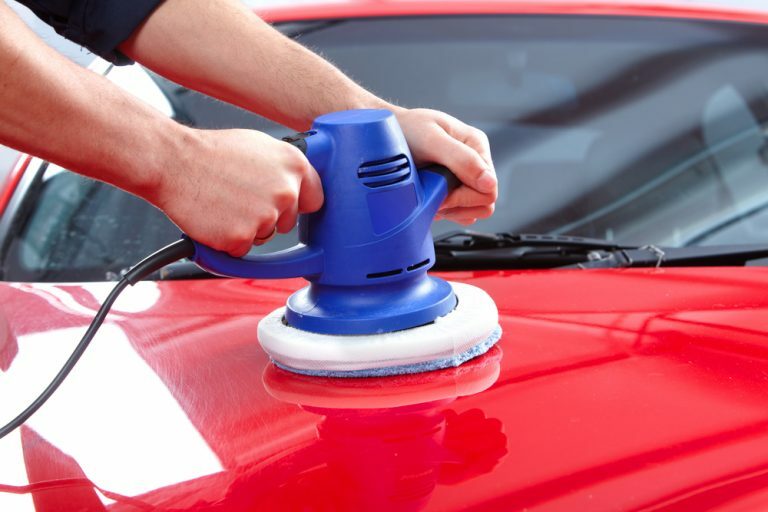 Regularly removing dust and grime from the exterior of your car will not only keep it looking nice, but prevent damage to the paint and body in the long term. 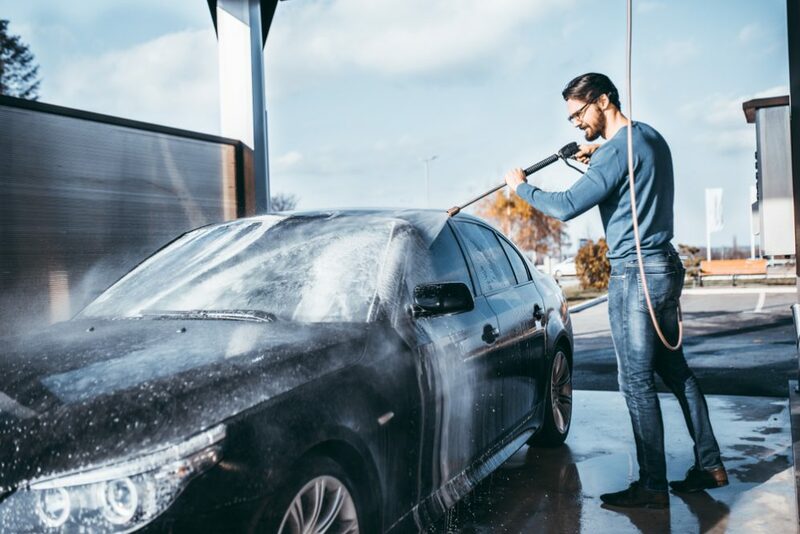 There are a few ways to go about doing that: you could take tons of time out of your day with a garden hose and scrub brush, you could pay for a professional cleaner once a week – or you could invest in a high-quality power washer, and get your car clean in minutes. 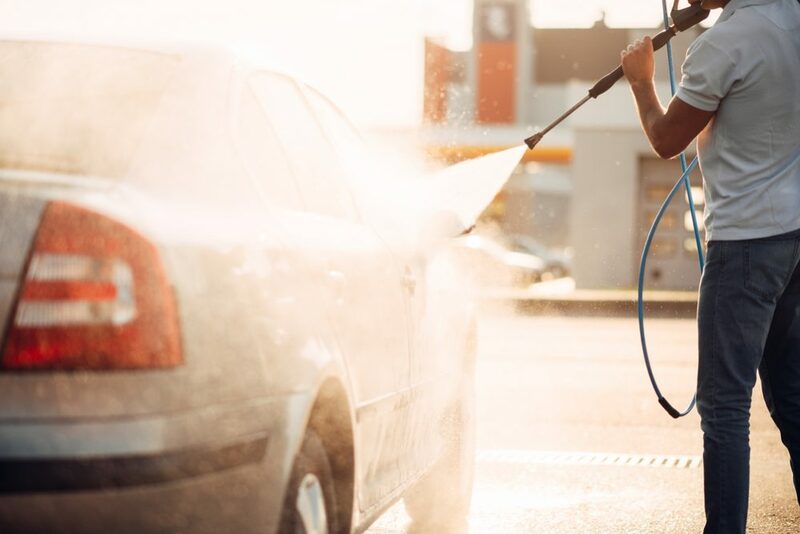 Now, you may have heard that washing cars with a pressure washer can be dangerous and result in dents or scratches, but some pressure washers are perfectly designed to safely clean a car without any damage to the body. 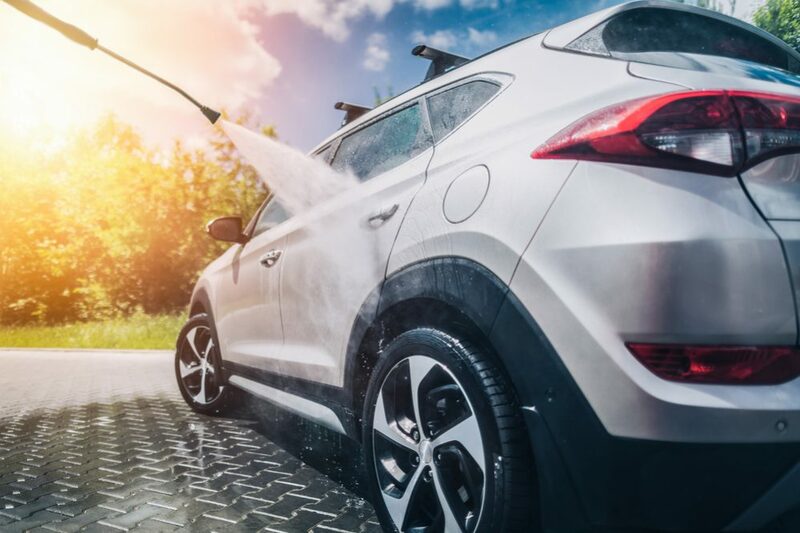 To help you pick out the best one, we have compiled a list of six of the top pressure washers for cars available on the market right now. 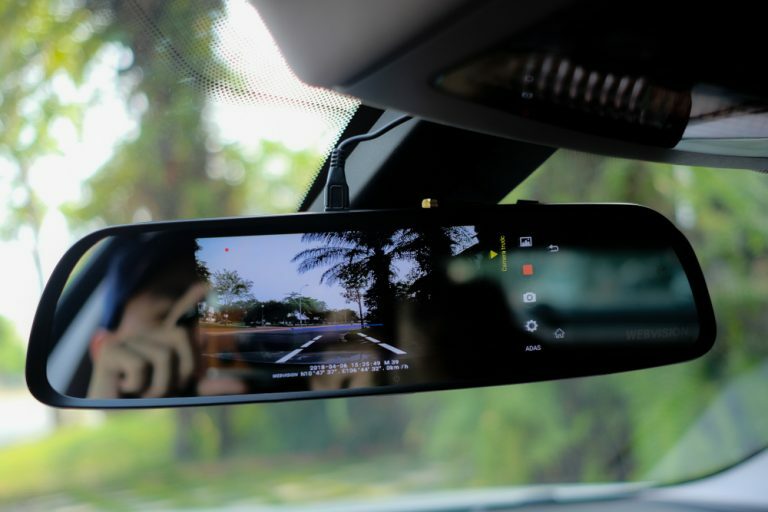 The items on this list come in a few different types, sizes and capabilities, so be sure to read our helpful buyer’s guide at the bottom of this article to determine which one will suit your needs best. (Our Top Recommended) Sun Joe SPX3000 Pressure Joe: a powerful and environmentally friendly electric pressure washer, with unique energy and water-saving technology. Generac 7019 OneWash: a heavy-duty, gas-powered pressure washer for home or professional use – powerful and versatile. Greenworks 1600 PSI 13 Amp Pressure Washer: convenient and easy to use little pressure washer, a great budget option and perfect for vehicles. SIMPSON PowerShot Gas Pressure Washer: a super high-powered, industrial-grade pressure washer. Powerful enough to spray graffiti and other tough messes – great for professional use. Karcher K5 Premium Electric Power Pressure Washer: high-power and durable electric pressure washer for cars and general home cleaning tasks – extra quiet. Annovi Reverberi AR383SS Pressure Washer: an eco-friendly and durable electric pressure washer, perfect for home cleaning. Remember, while these are all great products, no two pressure washers are exactly the same. There are some huge benefits and minor drawbacks to each of the pressure washers on this list. Read on to learn more about each of them in detail. At the start of our list is a super highly-rated, mid-range electric pressure washer from Sun Joe, a really popular name in the pressure washer business. This pressure washer is convenient, eco-friendly and great quality for the price. This Sun Joe pressure washer is a perfect electric washer for use on cars. 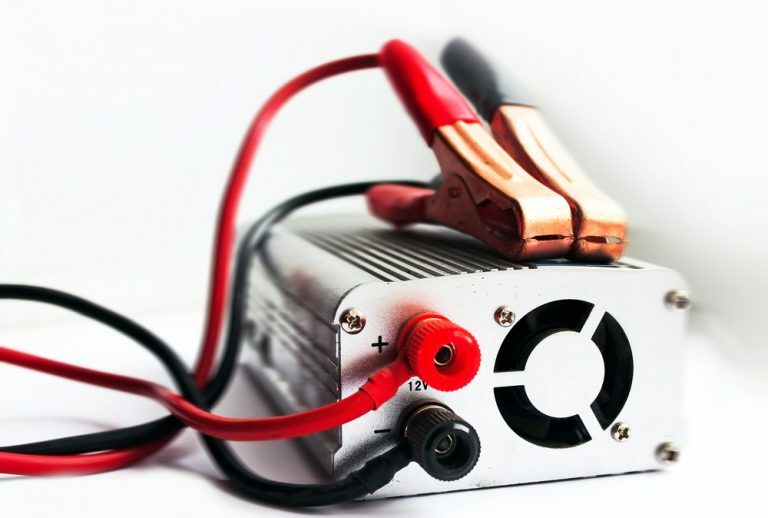 At 2030 PSI and 1.76 GPM, it is definitely high-power enough to get even the toughest, dried on grime and dirt off the exterior of your car without any risk of damage to the paint or body. 5 quick-connect tips give you a variety of spraying options, so you can use this pressure washer for far more than just your car. It also helps you to ensure the toughest sprays on the toughest messes, and gentler sprays on more fragile surfaces. This electric pressure washer is also environmentally-friendly; the total stop system (TSS) technology common to Sun Joe products will actually shut off the motor automatically whenever you are not actively using it, which saves energy and water, as well as avoiding any unnecessary spills or leaks. Double 0.9 liter detergent tanks allow you to carry two types of detergent at once, so that you don’t have to switch tanks in the middle of use if you need more than one kind of chemical in your wash. They are also big enough to last you through multiple uses before you need to refill them. At mid-range price, you can expect some problems with the durability of this product – but it holds up surprisingly well for at least one or two seasons of use, and in terms of quality, it definitely out-performs other pressure washers in its price range. We would definitely recommend this little electric washer to anyone for home cleaning use. This next pressure washer is gas-powered, making it a little heavier and noisier than electric models, but much more powerful as well as extremely durable. This is a great product for someone who plans on getting a lot of heavy-duty use out of their pressure washer. This gas-powered pressure washer from Generac is definitely one of the more heavy-duty options on this list. At 3,100 PSI and 2.4 gallons per minute, there isn’t a single mess that this washer won’t be able to spray away. Despite its power, there is still no risk of damaging your car with this washer. The spray gone comes with a power dial nozzle that can be manually adjusted by fingertip and switches between 4 simple settings: car, wood, concrete and soap. These 4 settings are labeled, so there is no guesswork involved in figuring out the right degree of pressure for your car versus your patio. A 25-foot pressure hose and a sturdy ½ gallon detergent tank onboard make cleaning quick and easy – no need to stop to adjust the machine or refill the tank. With a gas-powered pressure washer like this one, you do lose out on some of the convenience, as well as the eco-friendliness, of other, electric models. 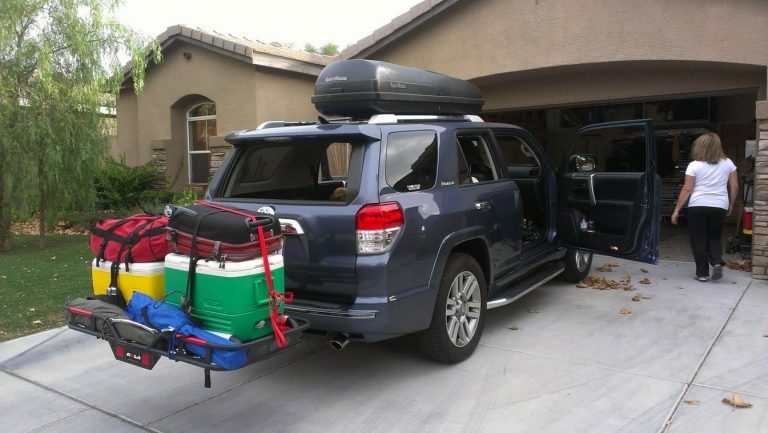 This product weighs just under 60 pounds, but wheels on the body make moving it around for storage and cleaning easy. It is also quite a bit noisier than electric power washers. That said, this thing is incredibly powerful and built to last for a long time, regardless of how often you use it. We would highly recommend Generac 7019 for professional or semi-professional cleaning jobs, or someone who has a lot of heavy-duty cleaning tasks at home. It is safe on your car and versatile enough to tackle any cleaning job. This little electric pressure washer from Greenworks is a compact, budget option for lighter home cleaning jobs, great on a car or other more fragile surface. It is extremely powerful for its convenient size and comes at a great value price. This electric Greenworks pressure washer may be a little smaller than other options on this list, but it certainly does what it needs to do – washes hard-packed dirt off a car quickly and efficiently, without damaging the car. At 1600 PSI and 1.2 gallons per minute, this washer is not exactly industrial-grade, but it is plenty powerful enough for car washing and other ordinary home cleaning tasks. It is also very convenient for a household without much storage space – about 17 pounds and a little over a foot tall, easy to fit in your garage, shed or closet. The size does not impact its cleaning capability, though; it works both vertically and horizontally, so there is no worry about it tipping over during use, as there is with other electric pressure washers. A soap applicator attaches to the front of the spray nozzle, so that you can easily apply whatever soaps or detergents you want to use as you are cleaning. It also comes with an attachable detergent tank and 5 different quick-connect spray nozzles, to help you tackle a variety of cleaning tasks. All-in-all, the Greenworks 13 amp pressure washer is a fantastic budget option for home cleaning. We would definitely recommend it for lighter home use. Another gas-powered option on our list, this Simpson pressure washer is a rugged and extremely durable high-powered product. It will last you for years of consistent use, and can tackle any cleaning task you can think of. Looking for a little more out of your pressure washer? Look no further. This 3300 PSI, 2.5 GPM, gas-powered washer from Simpson comes with a Honda engine, an incredibly durable build, and all the power you could ask for. This pressure washer is so powerful, it can even spray paint and graffiti off of walls. 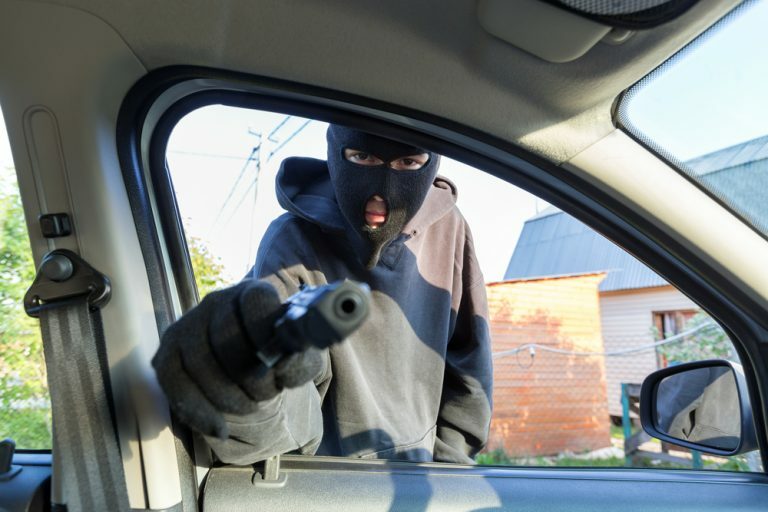 That said, it is still safe enough to use on your car without damaging or scratching the paint – you just need to know how to use it. This is definitely a professional-grade pressure washer, and it does require some experience and know how to handle it safely and correctly. If you are not experienced in using high-power pressure washers, we recommend doing a little research before you give this one a shot. If you are a professional or semi-professional, though – or if you simply have a lot of big cleaning tasks that you want to be able to handle quickly, this Simpson washer will certainly do the job. We really can’t think of a more powerful pressure washer. And, with its durable steel build, abrasion-resistant hose, and sturdy Honda engine, it is guaranteed to last you for years. Overall, this pressure washer is an investment in high-power cleaning. Moving back to electric models, this Karcher Premium pressure washer comes at a bit higher price than some other electric options, but it is super high-quality and built to last, not to mention extremely powerful. This is another great option for home cleaning. Of all the electric power washer options on this list, this Karcher model is one of the most powerful. 2000 PSI and 1.4 GPM allows you to spray away hard-coated grime with ease. It is also far more durable than other models; the corrosion-resistant pump and water-cooled motor contribute to an overall longer life span than that of most electric power washers. One of the best features of this pressure washer is that, despite its power, it is incredibly quiet. Pressure washers, especially gas-powered models, can be a pain for households with sensitive little ears or close neighbors; this washer is about 5 times quieter than the average gas-powered model, without sacrificing too much of the cleaning power. On top of that, it is easy to use and convenient to store. The adjustable power spray wand allows you to effortlessly switch between spray settings, and the integrated hose reel lets you pack the pressure hose away neatly without risking any damage to it. The adjustable wand makes this Karcher power washer easy and intuitive to use, and an onboard detergent tank expedites your cleaning process. All-in-all, this is a fantastic home cleaning product. It does come at a higher price, but it will also last much longer than other electric pressure washers, so we believe it is well worth the cost. The last pressure washer on our list is another top-quality electric model. The Annovi Reverberi pressure washer is powerful, easy to use, quiet and eco-friendly. A great option for home cleaning at a mid-range price. Just because this Annovi Reverbi pressure washer takes the last spot on our list does not mean it comes last in quality. This is a great product from a highly-rated company; it will last for years of use, and it is powerful enough to tackle most household cleaning tasks. 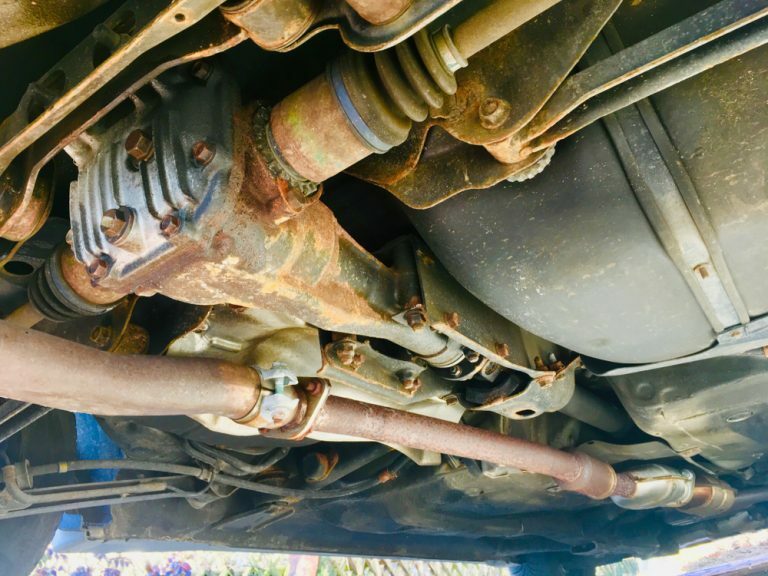 1900 PSI and 1.3 GPM is plenty of power for cleaning your car, as well as your RV or ATV, your patio or sidewall, driveway, pet cages – anything you need to be cleaned. As an electric pressure washer, it is quiet enough not to disturb your neighbors while you are using it. It is also a much greener option than others – using about 80% less water than some other, bigger pressure washers. A sizeable onboard detergent tank and 30-foot pressure hose make this pressure washer easy and quick to use. 4 quick-connect nozzles are included, to give you a variety of spraying powers for versatile tasks. This ensures tough cleaning as well as a gentler spray on more fragile surfaces. Overall, this pressure washer would be a great, lasting investment for any household. 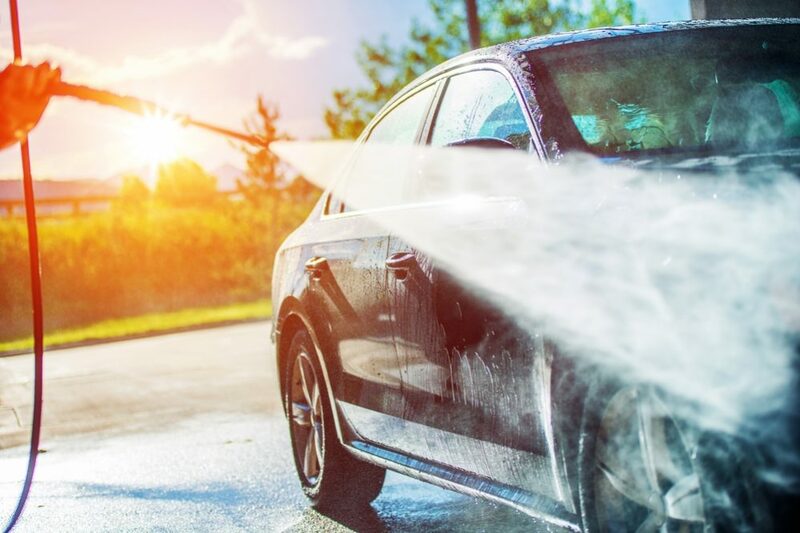 So you have seen some of the best of the best pressure washers for cars and other home cleaning uses – now, how do you decide which is the best one for you? 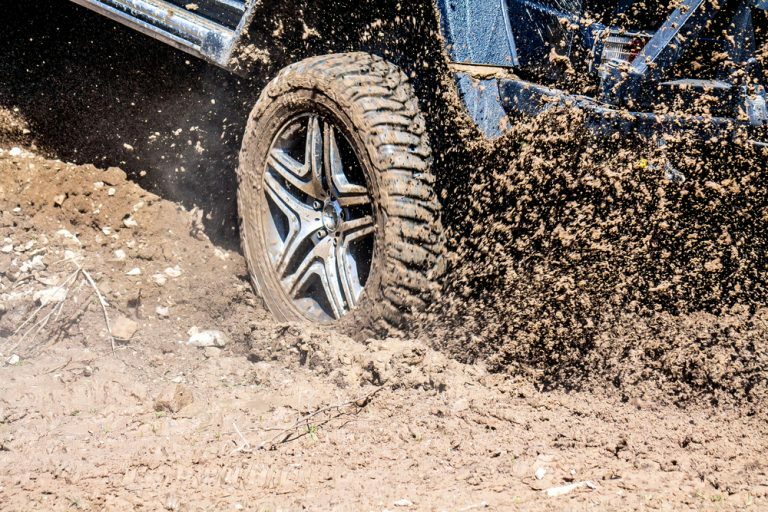 This buyer’s guide will walk you through some of the important factors you need to consider before purchasing a pressure washer for your car. Let’s start with the most obvious distinction. You probably noticed that our list included both gas-powered and electric pressure washers – wondering which is better? Well, there are pros and cons to each. First off, gas-powered pressure washers are more powerful. 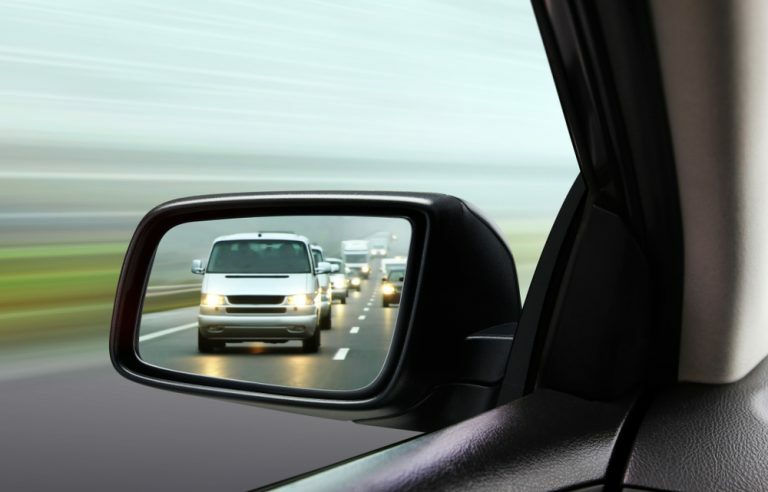 You have a stronger engine, higher PSI and higher gallons per minute. That means you are going to get more stuck-on messes off of any surface, faster. They are also generally much more durable than electric pressure washers, designed to be used multiple times in a day without wearing down. But with that professional quality, there are quite a few drawbacks. Gas-powered pressure washers are bigger, noisier, more expensive and more wasteful (of gas and water) than electric models. Electric pressure washers, on the other hand, lose out on some of the cleaning power and rugged durability of their gas-powered cousins. But they are still power enough for cars, and most other home uses. They are also a bit cheaper, generally lighter and smaller – not to mention quieter – and they use much less water. In summary, an electric pressure washer is best suited for lighter tasks and occasional home use, whereas a gas-powered pressure washer might be necessary for bigger cleaning jobs, more consistent use or professional use. 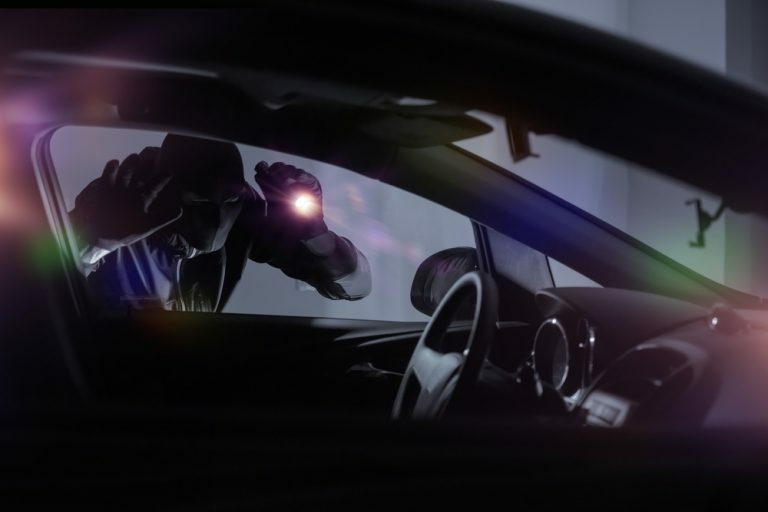 If you chose a gas-powered model, we recommend a little caution – they are not always intuitive to use safely. Read the instructions carefully before you use it to clean your car. Some of the products reviewed on our list are a bit more versatile than others. They may come with multiple detergent tanks or various adjustable nozzles for different settings. How important versatility is in a pressure washer really just comes down to how you want to use it. If you plan on using your pressure washer to clean more than just your car, then it might be an advantage to have multiple kinds of sprays. That is especially true if you invest in a higher-power pressure washer and want to use it on more delicate surfaces, like painted wood or thin metals. 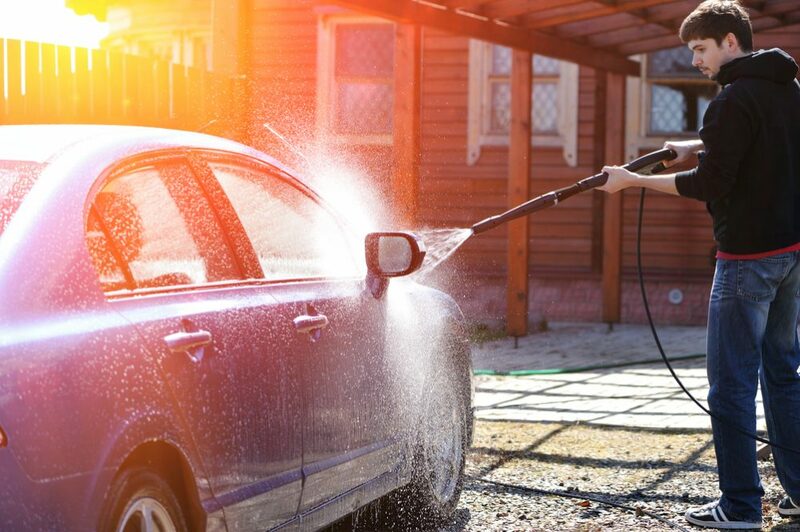 If you are just choosing a pressure washer for use on your car, though, you don’t need to worry too much about all the bells and whistles. Just find a solid, well-reviewed product for car washing, and stick with it. Remember that a very high-power pressure washer can actually be a little dangerous if you do not use it properly. The high pressure spray could cause serious injury to people – and it can also cause a lot of dents, nicks and scratches to fragile surfaces. If you are concerned about the safety of your pressure washer, your best bet is to go with a less powerful, electric model. 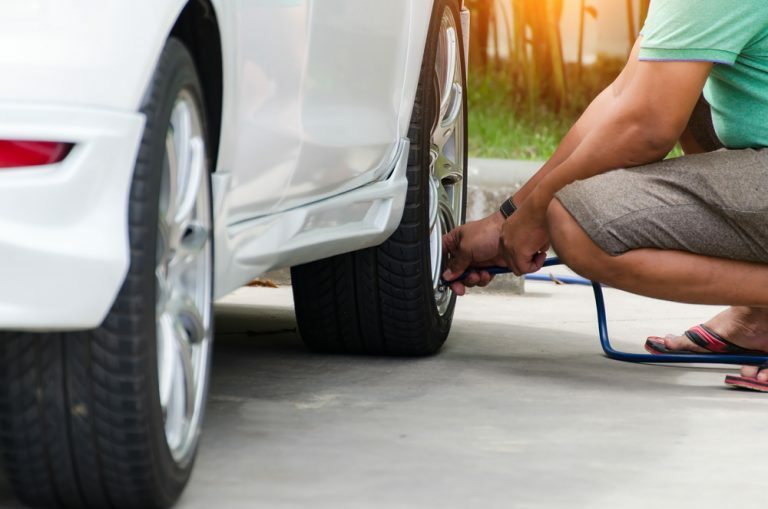 Something around 1600 or 1700 PSI will still be plenty powerful to clean off your car quickly, but it will be less harmful to skin or delicate surfaces. Less powerful models also tend to be more intuitive to use, making them safer for inexperienced users. All that said, pressure washers are not the most dangerous power tools out there – you shouldn’t be discouraged from buying a higher-powered product, just read the instructions carefully and use it with caution. Gas powered or electric, versatile or simple – when you get right down to it, what matters most is your individual needs. Pick the pressure washer that works best for you, your car and your household. Remember that you will get more power out of a gas-powered pressure washer and more convenience from an electric one. If you are concerned about the safety or water waste of your pressure washer, we recommend taking the electric route. Investing in a home pressure washer will make regularly cleaning your car faster, more convenient and honestly more fun. It will also help you with a variety of household cleaning chores. Any of the models reviewed in this guide will be a great choice to cut your cleaning time in half.